Creative non-fiction has the potential to close the gap between here and there, then and now, us and them. Yet, too often, this kind of writing about Africa has been at a distance, with the directive for “expert opinion” and “objectivity” stripping narratives of the blood and tears that make for truly remarkable storytelling. To realise that potential, we need to support writers and celebrate new ways of telling Africa’s past and present. This also means encouraging an expansion of the marketplace, by trusting that readers will respond positively to writing by people who are usually seen as subjects for a foreign correspondent’s investigations. 2. Over at The Jeli, Alexia Paradzai asks the question, Who is African Literature For? I have to wonder if I would have loved Americanah the same way if I was still living in Zimbabwe, or if Behold the Dreamers would have garnered so much attention if everything had stayed the same except the setting- if instead the protagonists were actually Somali, fleeing to Nairobi, Kenya. This is not to shame African writers who write about other places that aren’t in Africa but just to ask a necessary but cynical question- who are we writing for and why do we do it? And, for me personally, it was then that I began to understand the true significance of the process, not out of prior knowledge or experience, but out of love and the faith that all languages are equal. I stand safe in the knowledge that I have attained a language conscience, and hopeful that this language awakening will do the same for millions of Africans who can easily access wonderful stories in their own languages on any device. 4. Prof Timothy Wangusa reading: Join Goethe and FEMRITE this Thursday, 16th June for Prof Wangusa’s reading of his latest novel: Betwixt the mountain and the wilderness at 5:30pm at Goethe Zentrum, Plot 52 Bukoto Street. 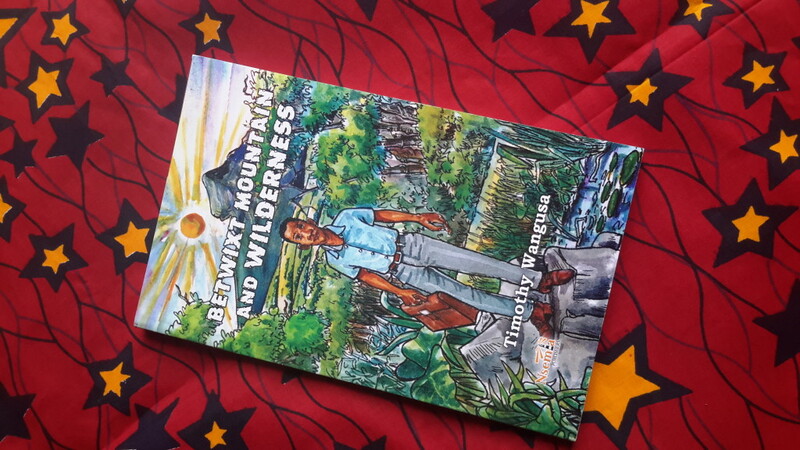 Betwixt The Mountain is a sequel to Prof Wangusa’s Upon This Mountain that was published in 1989. The novel Upon This Mountain tells the story of Mwambu, who is determined to touch heaven, and describes his journey towards adulthood. The novel combines African folklore and proverbs with Christian symbolism. Its main theme is that of growing up in the Ugandan society and what challenges come with growing up in the traditional setting. 5. Are you a Ugandan or Kenyan screen writer? You have up to June 3oth and July 1 respectively to submit your script to be part of a screenwriting lab. Maisha will have four annual 8-day intensive programs in each of Maisha’s target countries(Kenya, Rwanda, Tanzania, and Uganda). Fifteen scholarships will be awarded in each country. In 8 days, the 60 selected participants (15 in each country) ,will work with internationally renowned mentors to refine their work and broaden their horizons on the film business and the art of filmmaking. The winning script will receive an award of $ 5,000 to produce their short film. 6. Do you want to learn how to plan, write, fund, publish and move your book? Join Successspark and Jackee Batanda this July 1st to 4th 2016 at Bulago Island for a four day in-depth session of the book writing process. Contact them at +256-776703445 or info@successspark.co to book your slot today. 7. Lastly, thank you for reading and for waiting for us. It feels really good to be back! Can’t wait to share the stories we have! 7/7 is Sooo Many Stories’ way of helping you beat the Monday blues (which sometimes spill into your Tuesdays). 7 things that are making me happy in the literary world.